You need to have a dental examination at least once each year. During examinations, your dentist can assess your general oral health. Your dentist may spot and address issues in their first stages (such as gum disease and cavities), which may help save money, time, and pain. Don't wait till you have pain to make an appointment with a dentist in Pearland, TX. To prevent cavities and other issues, you need to be cleaning your teeth a minimum of two times per day. For optimal results, you need to brush your teeth half an hour after you drink or eat; however, two times per day is the minimum recommended by dentists. And it isn't only how many times you brush, but also the way you brush. You need to keep your brush angled slightly against your teeth and then brush in short, circular strokes. Take care not to brush too rough or you might harm your gums and enamel. If you would like to make cleaning your teeth simpler, look at getting an electric toothbrush. Most include an integrated timer so that you know you're cleaning for two minutes. If you would like to be certain that you're cleaning your teeth properly, talk to your hygienist following your cleaning. They can check to see if you're using the correct technique and ensure you're cleaning effectively in your home. Moreover, be certain that you're replacing your electric toothbrush head or manual toothbrush after three months or earlier if it's worn. Rinsing with mouthwash can improve your dental health in a couple of ways. Mouthwash can decrease the total amount of acidity in your mouth, wash the spots that you may miss when brushing, and also add helpful minerals to your enamel. There are several kinds of mouthwash for your goals. You may prefer an alcohol-free mouthwash, a rinse that reduces sensitivity, one that brightens your smile, or one to treat dry mouth. Ask your dentist to suggest a mouthwash that may improve your dental health. After you've selected a mouthwash, follow the instructions on the package. A lot of men and women feel that simply brushing their teeth means they are set; however, this really isn't the situation. Despite the fact that you brush twice a day, you're still able to have tartar and plaque buildup hidden between your teeth and along your gums. Flossing can remove buildup, which will help fight cavities and gingivitis, giving you healthy gums and teeth. You should floss at least one time daily; however, we suggest two times every day. To be certain that you're flossing properly, ask] your hygienist for a demonstration during your bi-annual cleaning. A naturally occurring element, fluoride is a very good way to reinforce your dental enamel. Based on your city, your water might have fluoride in it (the typical recommendation is 0.7 mL of fluoride per liter of water). In case your water does not have added fluoride or it does not contain enough, then ask your dentist in Pearland, TX about receiving fluoride treatments. Although many dentists suggest fluoride treatments for kids when their teeth are still forming, adults may ask for them. You could even ask for prescription treatments to use in your home and be certain that you're using a toothpaste that contains fluoride. In addition to your yearly dental examination, you should get your teeth cleaned by your dentist twice a year. Even though you're flossing and brushing in your home, it's hard to reach every crevice of your teeth. A cleaning addresses tartar and plaque buildup, which may become cavities. A cleaning also polishes your teeth to eliminate stains to brighten your smile. Cleanings at your dentist every six months help strengthen your enamel and enhance the look of your smile. Bacteria and buildup isn't confined to your gums and teeth — it may get on your tongue. This may give you halitosis (chronic bad breath) or discoloration. One more reason to clean your tongue is that germs can transfer from your tongue onto your gums and teeth after they've been cleaned, and this may raise the risk of developing cavities. Lightly scrub your tongue while you're brushing your teeth. It's a simple habit, which may help your oral health. Sugar in your food and drinks tastes yummy, but sugar turns to an acidic bacteria, which eventually becomes cavities. Enjoying drinks and foods with a great deal of sugar (read food labels since sugar is in more things than you realize) may impact your dental health. Giving up sugar might help reduce the amount of cavities you're getting. We're not saying you need to avoid these kinds of drinks and foods completely but restricting them may help your present and future oral health. If you do enjoy something with sugar, brush or rinse with mouthwash whenever possible to get rid of bacteria. 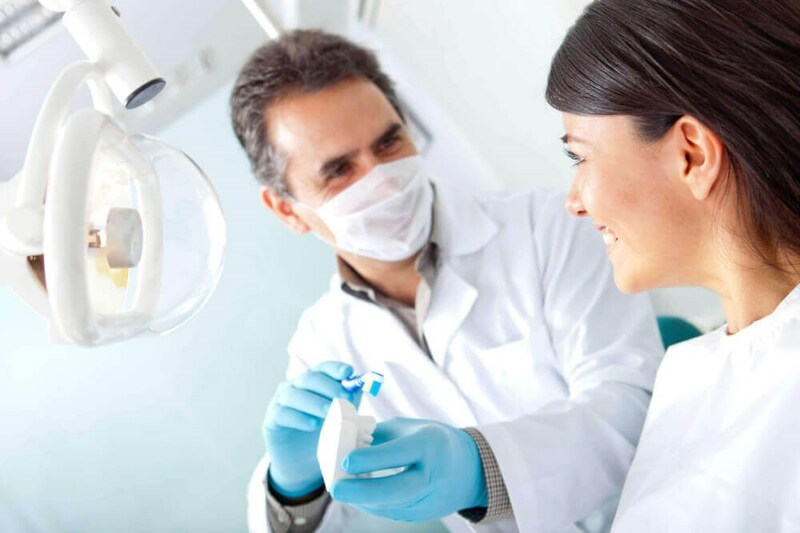 Now you understand various techniques to boost your oral hygiene, then get in touch with our practice in Pearland, TX to schedule an examination and cleaning. Our seasoned staff at Highland Dental Care and Ortho. can help you create your home dental hygiene regimen and be certain that you're flossing and brushing properly. We'll explain different ways that you may help you keep your teeth healthy. There's no better time to begin a good habit than today, so what are you waiting for?